Federation. The date of this arrangement is 18th-20th of February. Download the official invitation as PDF-format. 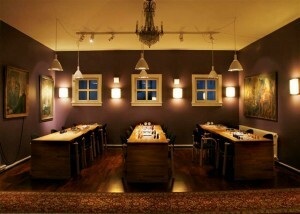 The tournament will take place in Oslo Schakselskap’s venues at Bogstadveien 30, 0355 Oslo. located in the centre of Oslo. five-minute walk along Slottsparken brings you to Cochs pensjonat. players per country in each class. Class A: For players turning 18, 19 or 20 years the year the Nordic Championship are being held. Class B: For players turning 16 or 17 years the year the Nordic Championship are being held. Class C: For players turning 14 or 15 years the year the Nordic Championship are being held. Class D: For players turning 12 or 13 years the year the Nordic Championship are being held. Class E: For players turning 11 (and younger) the year the Nordic Championship are being held. group and one team leader from each country. on Saturday and Sunday; breakfast on Monday).